im starting to think the white city was prolly just a mockup for magazines. 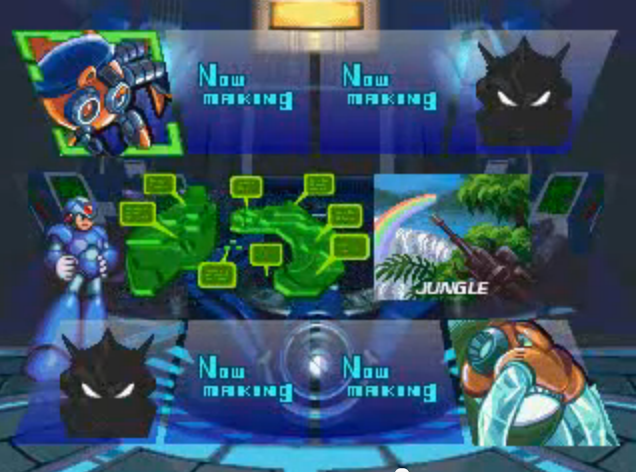 like the radically different Mega Man 8 intro stage from that one screenshot, where it looks more lush and junglelike. these don't work on my mac, any reason why that might be? Thanks for the reuploads Protodude! Also... EARLY X1?!?! An early build of X1 would be amazing, White City or not. I don't believe White City was just a mock up personally. I've never seen it brought up before, but the map in X1 does have a white city on it. (And an unexplained satellite for that matter.) Granted, that's not much to go off of, but it is something. I'd write it off as map decoration if it weren't for those previews. I hope you can get that build, good luck! I don't know if you did this for previous betas or not, but if it puts a hole in your wallet (like I'd imagine), a community fundraiser could be done for a dump of it. You have to have a program that unzips .7z files. "these don't work on my mac, any reason why that might be? " Probably because Mac doesn't have any good PSX emulators. Beyond that, always remember to extract files instead of relying on compressed file support, even if it is supposed to be in the emulator. Try Wine or something. That might work? Also, in case it didn't occur to you, you need to use a PSX emulator. As a kid, I remembered seeing that P life bar in some kind of magazine. I didn't realize it was promotional pictures of an Alpha, so I always thought it was some kind of secret upgrade that I never knew how to get. Interestingly, the length of the life bar is different from the intro stage and "White City". Protodude the ESRB has given X2 a rating for the Wii. Yup, we know. Been waitin' since August. I already have them thanks to you before Megaupload was dead. 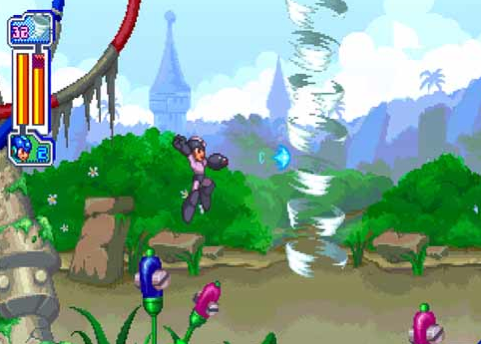 If anybody forgot about Rockman Dash Beta.. Rockmancorner dumped it at Megaupload as well but it was dead. Maybe you should dump it again ? I know that lol.rockmanpm.com have this game but I can only ask your permission to share. 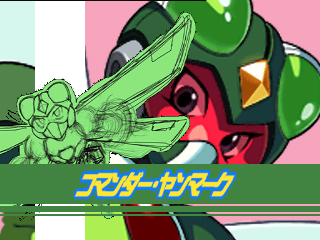 I have the Rockman Neo dump somewhere. Other than that, I've got nothing new for you at this time. Too many percentages in there. I hope it works because it works for me. I hate to bother you, Protodude but I am looking for Megaman NES original font (ttf). I need uppercase font and lowercase font (ttf) for game maker. Thanks Protodude but I already have this Megaman 2 font. I am looking for lowercase letters. The Megaman 2 font only have uppercase letters. If someone would like a more permanent option compared to a random file upload site, I can possibly put these up on my web server later. It's for my work, but I have my own section with unlimited bandwidth. Also if there arises the issue of money with the possible X1 prototype feel free to contact me. (PM me on RockmanPM or Sonic Retro or I'll email you if you post it on here.) I'm currently out of work for a broken foot, but for something special like this I can contribute at least $1-200 since I'll be getting my taxes in a couple weeks. Messed with some codes for the Prototype of X4. The Fourth Armor is present, but a lot of it's sprites are unfinished (the details are missing on a lot of sprites) and glitchy (ladder sprites in particular, as well as some buster animations). I want to rip a sheet for Sprites Inc. but I have no idea how I should go about it. White City seems to be a testing area, or basically a stripped-down version of what later is the Highway stage in X1. Still would be really neat to see in action. Have you tried asking Sprites Inc for help? Chances are they already know how to do it. PS: Let me know if you get the ultimate armor or Nova Strike working. I am looking for lowercase letters because the Megaman 2 font only have uppercase letters. Is there ? Does anyone still have the Command Mission E3 demo? It vanished with megaupload, and I didn't have the chance to grab it to save it. Rockman X4 Special Trial Version Pre-Release link down.